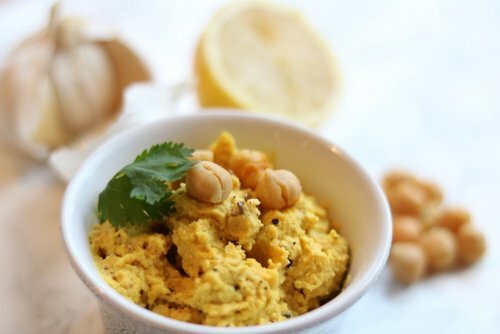 This simple, 10 minute hummus is packed full of fibre, protein and plant power and the golden turmeric that gives this hummus its lovely golden colour has long been used as a powerful anti inflammatory. This makes the perfect side or snack when you want something satisfying and nutritious. Perfect served with fresh vegetables, flat bread or pitta crisps. It also makes a great sandwich filling. Place all the ingredients into a food processor, and blend until the hummus is smooth and creamy. Add more water as needed to get to desired consistency.